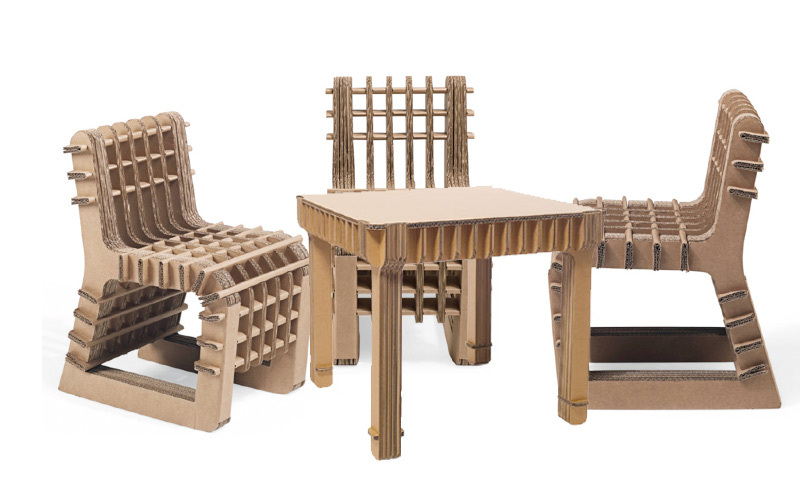 At this stage in eco-design there’s nothing particularly new about cardboard furniture. Yet the cardboard ‘Build Up’ child’s chair and table designed by Philippe Nigro appears to be a new exercise in what can be sculpted from the paper-based medium. Sturdy, yet simple to put together, the pieces are shipped flat and are then folded, contorted and wedged together to create the final furniture form. At this stage in eco-design there�s nothing particularly new about cardboard furniture. Yet the cardboard �Build Up� child�s chair and table designed by Philippe Nigro appears to be a new exercise in what can be sculpted from the paper-based medium. Sturdy, yet simple to put together, the pieces are shipped flat and are then folded, contorted and wedged together to create the final furniture form.